The new shingles we used on this home's roof installation are CertainTeed Northgate - Max Def Granite Gray. For a FREE no-obligation estimate in Bremerton, WA, please fill out the form to the right and Patriot Roofing will contact you shortly. Hello - May I get a quote for Roof Cleaning, Repairs if necessary, Gutter cleaning & Installation of 2 D-Rings on either side of my roof please? Thank you - Lindy. Need an estimate for a roof replacement. I would like to get a bid for a reroof of my house and the shed next to my house. Looking for two solar tubes to be installed above the upstairs bathrooms to improve natural daylight and cut down on repeatedly turning on and off lights in these small spaces. I have more than 25 shingles missing on my roof that is almost 45 years old and I need a new roof. Cant afford new roof this year but lost some shingles in the last big wind storm. Need repair to get me through till next year. I would like an estimate for a full roof replacement with a metal roof and new gutters. Also, a sheet or two of the plywood may need to be replaced. "My roof looks beautiful. I am so happy." Patriot Roofing was the most comprehensive bid, especially on the importance of ventilation. We are very happy with the quality of work. The employees were wonderful explaining as they were working. A big positive was that the final invoice matched the estimate. "The clarity of the process, communication with us, and..."
Does your leaking roof drive you crazy? Worse yet, do you notice that your home is marked up with unsightly dark spots and/or has missing shingles barley clinging on to your roof for dear life? The good news is that Patriot Roofing is an A+ Better Business Bureau award winning company that houses a stock of incredibly skilled technicians that can quickly locate the cause of your roofing issues and can successfully fix any kind of unique situation that effects your home. We've serviced thousands of clients over the years and have learned first hand how important it is to address minor roofing issues right away. That's because when minor problems aren't immediately taken care of they can quickly turn into major and expensive issues that leaves the interior of your home completely ruined. 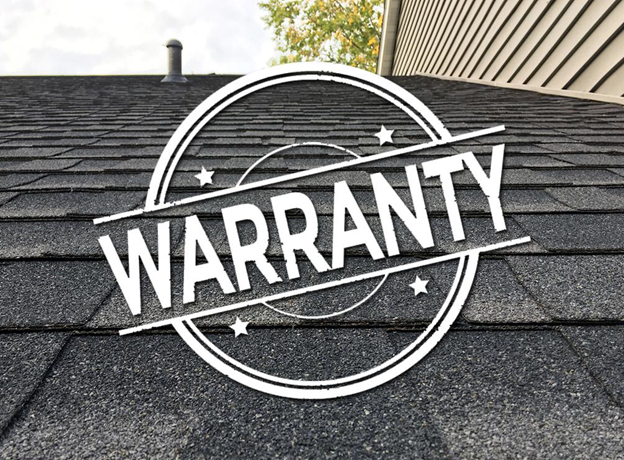 So, if you notice that your roof shows signs of wear and tear or any type of unique problem, call us at 1-844-386-0761 or click below to request a roof repair estimate today! We are the Bremerton, WA areas exceptionally skilled and customer focused roof repair, roof replacement and siding contractor. Patriot Roofing is the Bremerton, WA's area emergency roof repair contractor. If your home has a leaky roof, has storm or earthquake damage or has shingles that are lifting, then it is a sign of a major issue that needs to be quickly taken care of in order to prevent water from entering into your home and severely damaging it over time. Most roof leaks stem from damaged or missing shingles or tiles, but they are also caused by poor quality flashing or damaged roof coverings. Our roof repair process starts off by sending out a roofing specialist to your home to view the damage and recommend to you a quality solution that fits within your budget. On the other hand, if your home has experienced extensive storm damage or your roof is old and weathered, then you'll definitely need to get a roof replacement. Don't ever risk climbing up on an unsteady roof! Let our professionals at Patriot Roofing provide you with reliable service that gets the job done right the first time. Don't let any more seconds or minutes fly off the clock and allow costly problems from piling up on your home. Patriot Roofing is also the Bremerton, WA's area leading siding installation contractor. We have years of experience servicing our customers with high quality siding solutions. In fact, many times our satisfied customers write back to let us know about all the money they saved in energy bills after we installed their homes with new siding. It's true. Not only does installing new quality siding make you the talk of the neighborhood, but in most cases installing quality siding will entirely pay for itself in just a few years in energy savings! Talk about a great deal. At Patriot Roofing we only service our clients with the best: fiber cement siding or wood siding products. So, don't keep thinking about which roof repair contractors near me are actually reliable? Contact us right away to schedule your FREE in-home consultation with a professional from Patriot Roofing. I just would like a quote for a new roof. Hello- would like to discuss our options with you in regards to replacing our homes roof/gutter/soffits. Depending on total cost, we are interested in metal and or composition roofing. I've lived in my home for 15 years and the roof looked new(ish) but is starting to show some wear around the bottom near the gutters. Am looking to replace it and new gutters as well. Interested in new roof. Older double roof from what we were told... small leak over garage currently and currently no flashing. Current Roof is old and some of the shingles have bare spots. We also have a covered back patio that I would like an estimate on having replaced. It is covered with poly carb roof panels. The roof is not that old but it leaks in spots. We would like an estimate of what needs to been done on our roof. There may be a possible leak around a skylight, there is leaks over our porch, and rot around the gutters. The roof is over 20 years old. A water leak in the bottom corner of the roof in the back part of the house. Our roof is 15 to 20 years old, we would like to know if it needs to be replaced or repaired. Our home is 23 yrs old and although we're not currently having any issues with our roof and it passed inspection upon us buying it 4.5 yrs ago, we know it's about time to think about replacing it. We will be repainting our home this spring and would prefer to have the new roof on prior to painting.